How About a Glog with Bite! 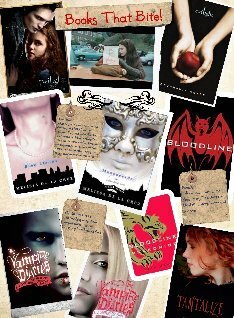 Here is a link to a really cool glog someone has done for Teen Read Week! This is what I am looking for in your glogs that you do about books. Except, yes, there is some copyright violation going on here. Otherwise, it is great! Be sure to tell your friends to stop by the media center this week to celebrate Teen Read Week. We will be celebrating Books with Bite with a display of vampire books and different snacks all week. Today we have cookies, so stop by the media center for a treat!